France plans to begin talks on a new Security Council resolution to revive Israeli-Palestinian peace prospects. France plans to begin talks at the United Nations on a new Security Council resolution to revive Israeli-Palestinian peace prospects, Foreign Minister Laurent Fabius said Friday, according to the AFP news agency. Fabius told reporters at UN headquarters in New York that discussions on a text would start "in the coming days." The Security Council in December rejected a resolution that would have set a deadline for reaching a final peace deal and pave the way to the creation of a Palestinian state. The United States had voted against the measure but was spared from resorting to its veto after eight council members including France voted yes, one vote short of the nine needed for adoption. 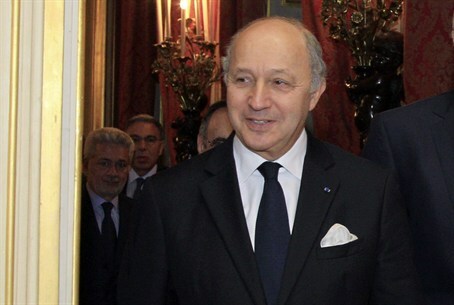 "I hope the partners that were reluctant will be less reluctant," Fabius said Friday, according to AFP. "It is necessary to move forward to have a solution to this problem," he added. Last week, following the results of the elections in Israel, Fabius called for negotiations between Israel and the Palestinian Authority to resume in order to achieve "a comprehensive and lasting peace accord" based on the “two-state solution”. The latest French move comes a day after UN envoy Robert Serry told the Security Council that it should step in to present a "framework for negotiations, including parameters" to achieve peace. "This may be the only way to preserve the goal of a two-state solution, in the present circumstances," Serry said in a bluntly worded assessment of the Israeli-Palestinian crisis. International concern over the fate of the peace process spiked after Israeli Prime Minister Binyamin Netanyahu vowed during his election campaign that he would never allow the establishment of a Palestinian state under his watch. Netanyahu later backtracked on his comments but the United States appeared unconvinced and UN Secretary General Ban Ki-moon urged him to renew his commitment to a two-state solution. Fabius told reporters that "obviously the two parties must discuss, but the discussion must be backed by an international effort."